That’s why I put together a short list of doable Pinterest DIY projects that make great gift ideas any time of year. Almost any homeowner can use a new set of kitchen towels. 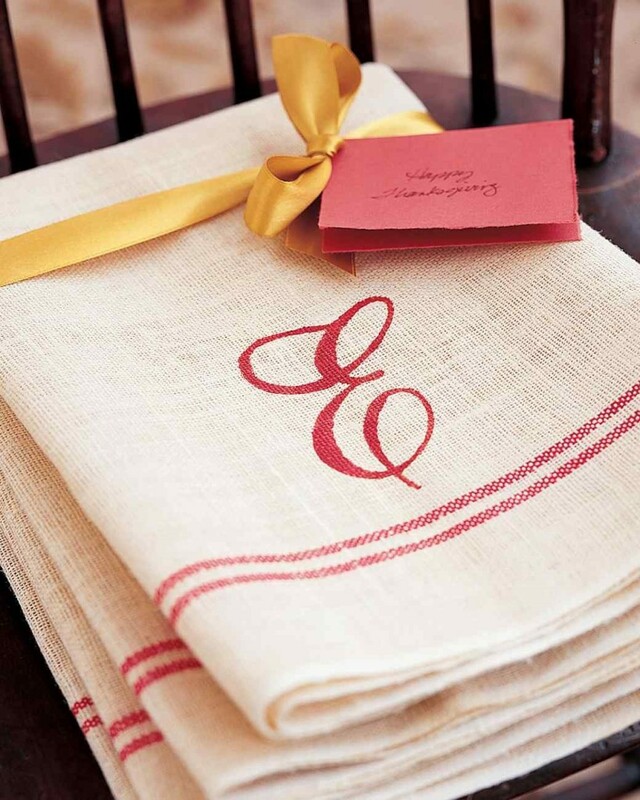 This easy project turns an ordinary household item into an extra special gift. You can really use your imagination and creativity here, but to keep it simple and foolproof, a letter stencil is the way to go. Here’s Martha’s version to see how to do it perfectly. Homemade linen spray is a great hostess gift. You’d be surprised of its many uses. You can use linen spray to freshen up bed linens, soft furnishings, and clothing between cleanings. You can even spray it on fabrics while ironing to for a fresh, calming scent. It works as an air freshener too. 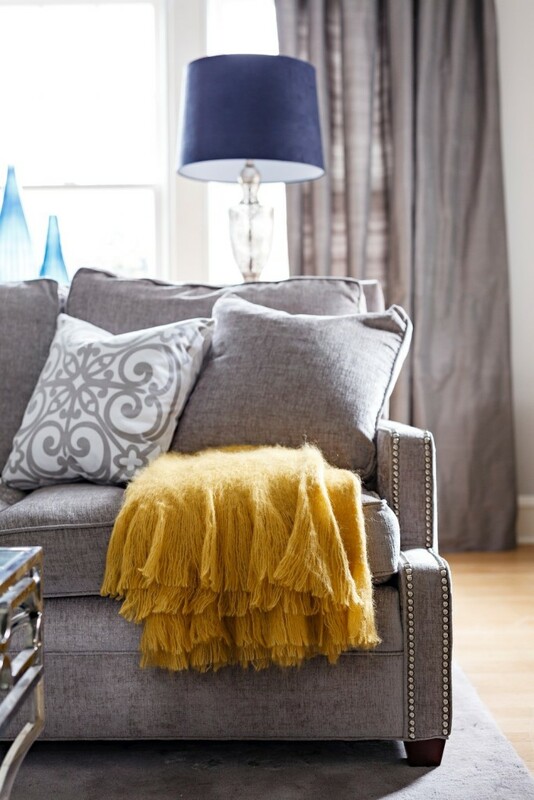 Lemon candles add a pop of color and warmth to a dark room in winter. 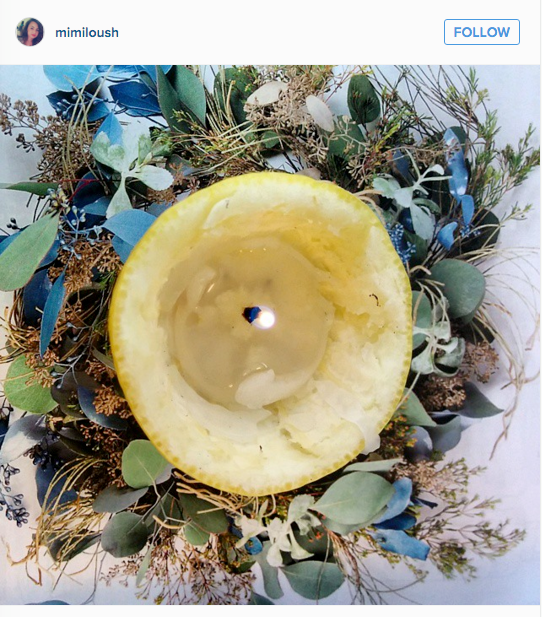 Lemon candles are bright and easy to make from hollowed-out lemon skins and beeswax. Pinners say they actually smell like lemons! This article from Martha Stewart shows you how to make them in 5 steps. 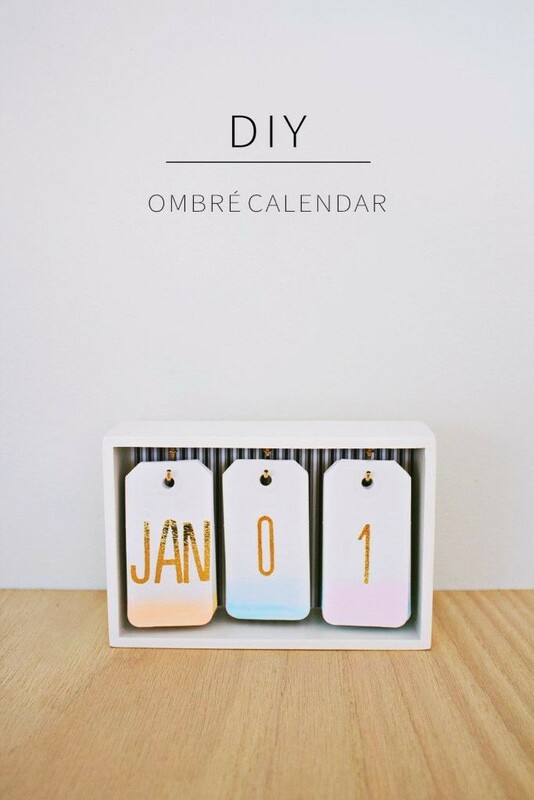 This DIY Ombre Calendar is a little more involved, but one of my favorites and worth the effort. The end result is beautiful. Since it doesn’t include the year, this calendar can be used over and over. The Annabode + Co. blog has the full rundown on how to put these together. To make it even easier, she includes a link to buy all the supplies as a kit on Darby Smart. Author Bio: Erin Davis is lead designer and co-owner of Mosaik Design & Remodeling in Portland, Oregon.